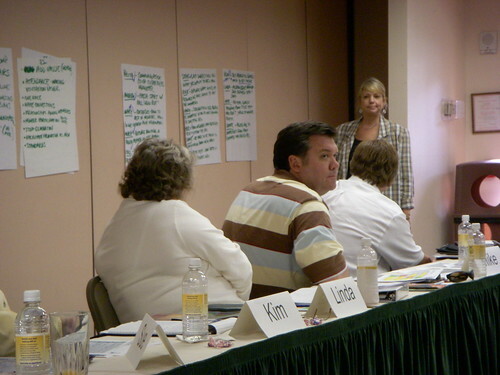 I recently attended a two-day strategic planning retreat for the Florida Attractions Association. 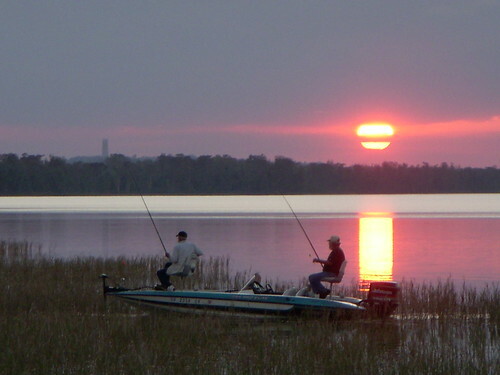 It was held at the Future Farmers of America Leadership Training Center on Lake Hatchineha, Florida, just southwest of Orlando. 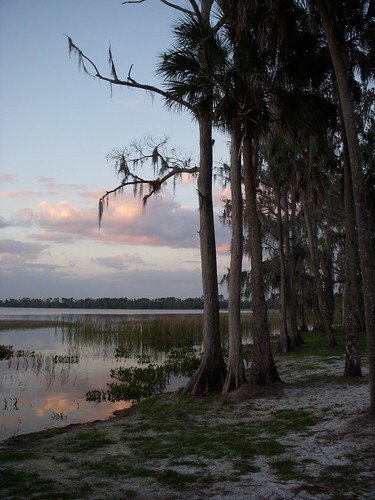 This site is rented by many companies for staff training and really showcases some of the natural beauty of Florida. 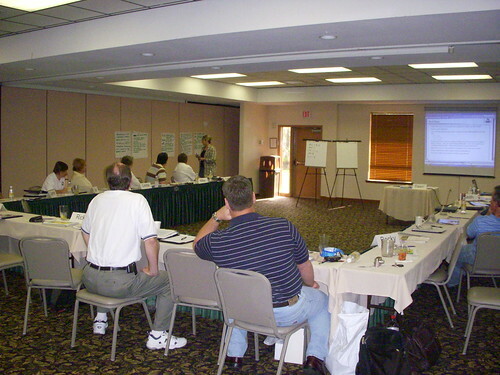 The planning session was facilitated by a very competent Disney staff person specializing in organizational development. We got so much accomplished in a short time that it reinforced for me the importance of getting away from the office periodically to an enviornment where you can focus on the task at hand without interruptions. 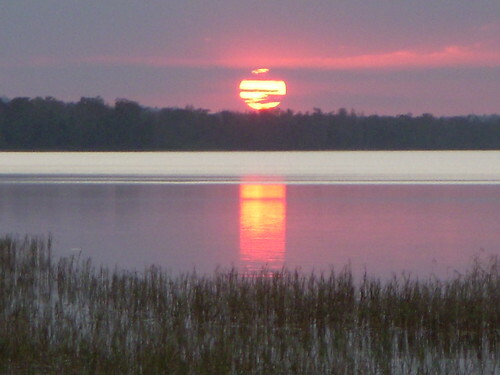 Sunset on the lake helped everyone relax before dinner the first evening. Dawn, graciously on loan from the Disney Company, skillfully guides us through a maze of material and makes sense out of chaos. The efficiency of the meeting reinforced another saying I picked up from the House of Mouse some years ago... "Plan your work and work your plan!" Supper the first night was on the deck with many friends. The view to the north from the deck. Meeting day two; getting the serious stuff done. It was a very profitable two days of working with professional colleagues from around the state to ensure that the Florida vacation experience is the highest quality you can find anywhere. Thanks for the great write-up and photos. We had a great group working toward developing a common vision for the Florida Attactions Association. 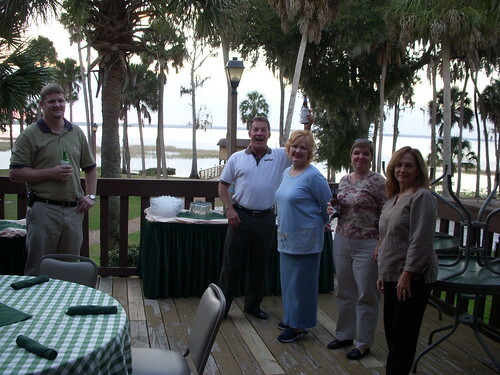 I'm glad you and the team could meet in such a lovely, rustic Florida setting.